New Celtic manager Brendan Rodgers will be expected to restore the club's European fortunes, according to chairman Ian Bankier. The Scottish champions have failed to reach the group stage of the Champions League in the past two seasons. And this term Celtic finished bottom of their Europa League section without winning a match. "The Champions League is our priority and therefore it will be his," said Bankier after Rodgers' appointment. 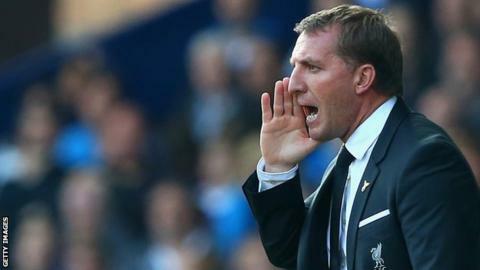 Former Liverpool and Swansea boss Rodgers has agreed a 12-month rolling contract at Celtic Park, succeeding Norwegian Ronny Deila. The 43-year-old Northern Irishman was dismissed from his post at Anfield in October after more than three years in charge. "We had a long list and then we had a short list," Bankier told BBC Scotland when asked about the search process. "Brendan Rodgers was a very attractive candidate from the get go. We didn't have to convince him at all - he wanted. "He is the right appointment for this size of club and what we face in terms of not only the Scottish league but Europe and the Champions League. "We're not making any statements other than appointing the right manager at the right time." Having finished as Premier League runners-up in his second season at Liverpool, Rodgers has had one Champions League campaign but could only manage one group-stage victory in 2014-15. He spent close to £300m during his time at Liverpool, bringing in approximately £200m in player sales. However, Bankier would not be drawn on the money Rodgers will have available. "Anyone who witnessed our last game of the season against Motherwell [a 7-0 victory] would recognise that we've got some talent," he said. "The thing we want is good management."